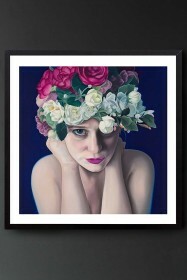 Unframed Art Print by Amy Carter "Come on babe, give us a smile"
Amy Carter is a British artist whose work includes large oil paintings of bold flowers as well as an evolving series of female portraits often painted in blue tones with detailed flower head-dresses. 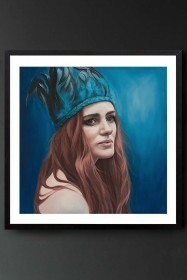 Her body of work explores the many facets of women, 'I wanted to show different emotions such as determination, defiance, vulnerability but mostly strength. This is reflected in the process of creating art. 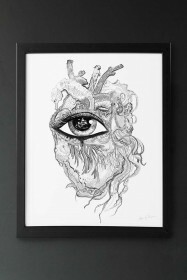 To create art in any form takes a level of determination, to put something out into the open to be seen and critiqued puts the person in a place of vulnerability. But like most good things in life, its when we are out of our comfort zone and a little bit vulnerable that the best bits happen". 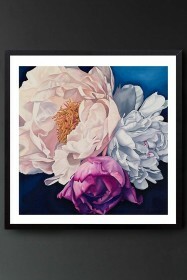 Amy's latest work includes four limited edition prints combining both the beauty of women and floral blooms. "Come on babe, give us a smile" is a stunning piece of art capturing the intrigue of a woman's eye surrounded by blossoming flowers. 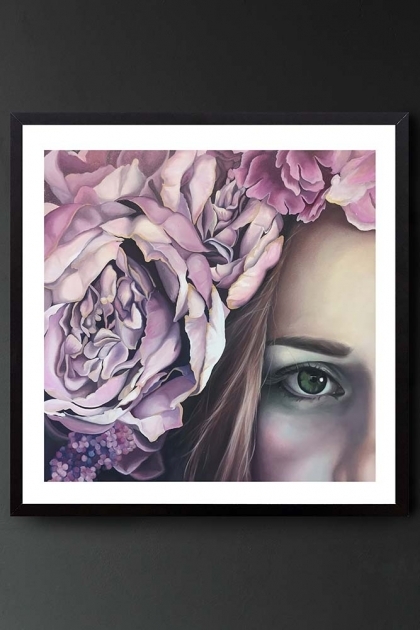 The interpretation of what she is saying to you through her eye is up to you, we personally think she has a lovely sparkle to her eye that combined with the purple tones of the flowers will look delightful on the wall in any room in the home. Come signed with print number. 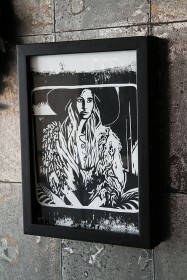 You're reviewing: Unframed Art Print by Amy Carter "Come on babe, give us a smile"
Unframed Art Print by Amy Carter "Stay Wild"
Unframed Art Print by Amy Carter "Festival"